My husband has a new hobby – gardening. He agreed to plant basil as I always use basil for cooking. Today I asked him to cut off a little basil for me to cook pizza. He gave me a Bunch! 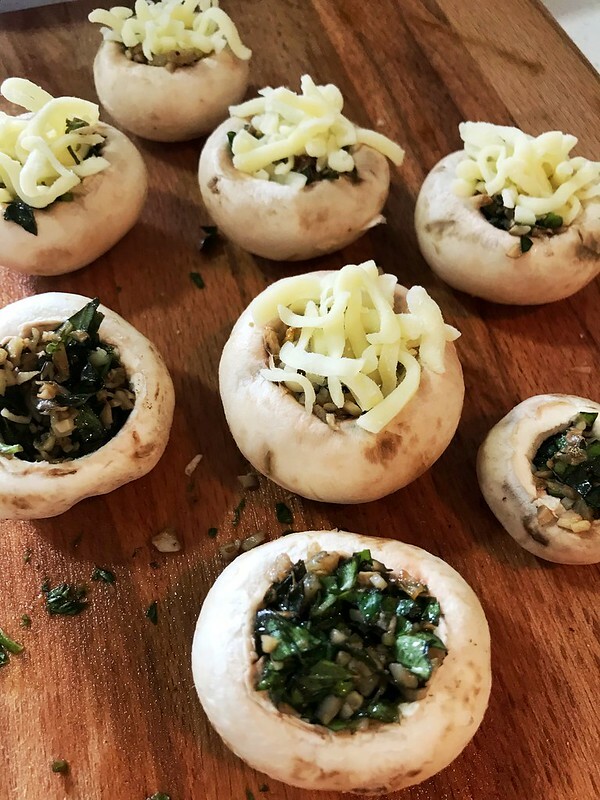 So I used some of them to cook this stuffed mushroom. 1. Prepare 200 g mushroom. Wash clean. Remove the stem. Don’t throw away stem. They can be used to make filling. 2. Chop stem into very tiny bites. Also chop 2 cloves of garlic. 3. Heat 1 tsp olive oil in the pan. Sauté garlic a bit. Add in stems. Sauté till aromatic. 4. Season with salt, black pepper and a little mixed herbs. Juice will come out from stem. Turn to low heat. Simmer a bit till it dries up. 5. Turn off the heat. Add in chopped fresh basil. Stir well. And the filling is done. 6. 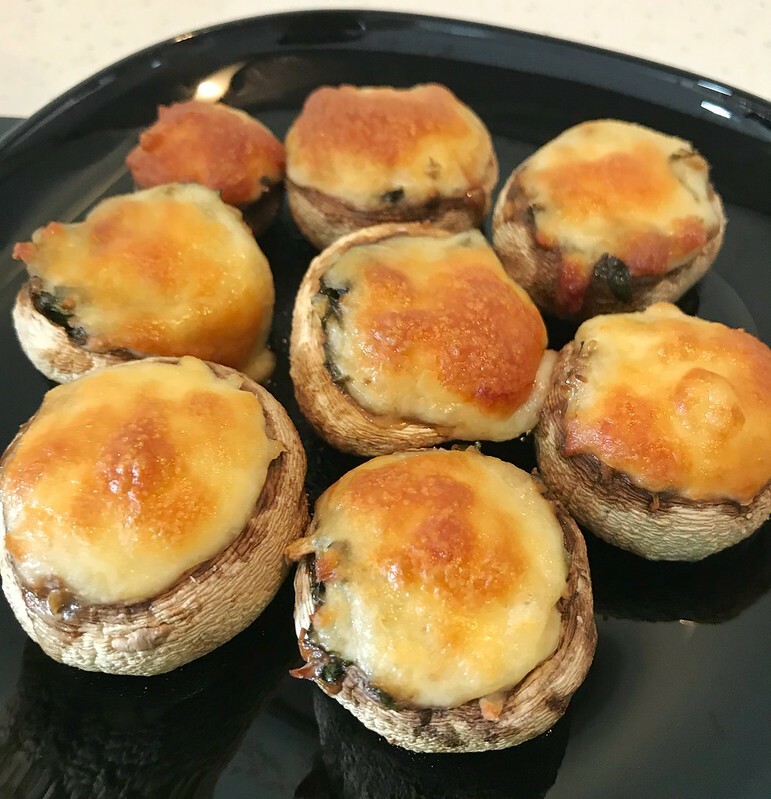 Put filling into mushroom with help of spoon. Press by finger. 8. Into the oven for 20 mins.